If there was one thing the Conservative Party cherished – and the British electorate admired – it was a reputation for economic competence. In the early 1990s, the opposition Labour Party was struggling to reinvent itself as an alternative government that could be trusted with the national piggy-bank, but that wasn’t easy… until Black Wednesday arrived in 1992 like a specter at the Tory feast. The European Union’s Exchange Rate Mechanism (ERM) was set up in 1979 as a prelude to a single Euro-currency, but Britain refused to join. Subsequently, Chancellor Nigel Lawson decided to ‘shadow’ the Deutschmark, unofficially linking Sterling to Germany’s stable currency. But squabbling broke out within government, his approach was criticized by Alan Walters – Prime Minister Margaret Thatcher’s economic advisor – and Lawson resigned. But the pro-ERM faction prevailed and the UK joined in 1990. ERM membership required economic and monetary policies that would maintain exchange rates within narrow bands, but Britain was in the grip of high inflation and high interest rates. As a result, Sterling fell to its lowest permitted level by 1992 and was coming under pressure from international speculators led by American George Soros, who were betting the pound would be forced to leave the ERM and devalue. How right they were. Their inexorable short selling (entering future sale contracts at today’s price in anticipation of buying the necessary currency more cheaply when it has to be delivered) finally broke the pound on September 16, when the Treasury’s increasingly frantic efforts to prop up Sterling had cost £27 billion. Chancellor Norman Lamont was forced into the humiliating admission that Britain would leave the ERM with immediate effect and let the pound find its own level. Black Wednesday is estimated to have cost Britain £3.5 billion, and earned George Soros $1 billion. 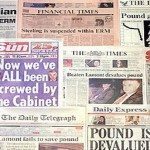 What was the Black Wednesday toll: The Conservative reputation for economic competence was shattered, paving the way for the crushing election victory of Tony Blair’s New Labour in 1997. Ultimately, however, the devaluation of the pound proved to be beneficial for the British economy, which would soon come out of recession and then enter an era of unprecedented annual growth. You should know: To rub salt in the wounds, had the Treasury and its political masters been more astute, Black Wednesday could have become a nice little earner for the British taxpayer, if the country’s large foreign currency reserves had not been squandered in that doomed attempt to prop up Sterling, it is estimated that the nation could have made a £2.5 billion profit on the subsequent unavoidable devaluation. The big winners to emerge from World War II were two superpowers that – like mighty stags that feel compelled to do battle – locked horns for 40 years. The resulting Cold War was a fierce struggle to secure global dominance, with the USA and Soviet Union representing diametrically opposed political systems. One was the torchbearer for democracy, individual freedoms and laissez-faire capitalism. The other espoused autocracy, tight social control and a centrally managed economy. Intense rivalry led to an arms race based on the appropriately named doctrine of MAD (Mutually Assured Destruction), requiring each side to possess nuclear weapons capable of destroying the world. There were other expensive contests, like the space race and aid to Third World client states. Desire to reign supreme even led the participants into disastrous foreign wars. The USA notably failed to roll back the tide of communism in Vietnam, while the Soviet army was humiliated by ragged mujahedeen resistance fighters in Afghanistan. It was the latter that determined the outcome of this titanic struggle. The cost of fighting the Afghan war – from 1979 until 1985 – bankrupted the Soviet Union’s command economy, already stagnating as a result of intrinsic inefficiency and widespread corruption. But cometh the moment, cometh the man – in this case reforming leader Mikhail Gorbachev. The Soviet economy had long been guided by five-year plans that delivered infrastructure, heavy machinery and military hardware, but couldn’t satisfy the complex demands of a modern consumer economy. Gorbachev’s new policy of Perestroika (economic reform) saw brief improvement, but it wasn’t enough. By 1991 the economy was in such dire straits that the Soviet Union simply disintegrated, with autonomous republics declaring independence and subjugated Eastern Bloc states regaining their freedom. In the end it was not a rival superpower that destroyed the once-mighty Soviet Union, but economic incompetence. 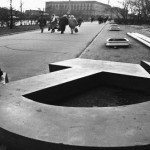 What was the Soviet Economic Collapse toll: Russia and the 15 former Soviet republics that rose from the ashes of economic disaster found it hard to come to terms with the realities of global commercial life in the post-Soviet era. You should know: The Soviet Union passed a law in 1988 that effectively marked the end of central economic control. The Law on Cooperatives allowed the private ownership of businesses, but merely hastened the process of economic collapse. By 1990 the government had lost control of the economy as the weakening of central control led to the economic and financial anarchy that would prove terminal for the toppling superpower. In 1945 Japan was a feudal monarchy that had suffered catastrophic defeat in World War II, but in fewer than 50 years this ruined nation would transform itself into a prosperous industrial democracy. Peasants became factory workers and the middle classes became white-collar workers – salary men – who were promised jobs for life in the mighty zaibatsu (banking and industrial conglomerates) that grew from the determined efforts of the hard-working Japanese people. As the economy boomed, zaibatsu morphed into even more powerful entities called keiretsu, alliances where big business and government worked together for the common good. But the frugal Japanese saved rather than spent, ensuring that financial institutions were awash with investment capital – a fact leading inevitably to speculation. The keiretsu invested in each other’s shares, inflating values, and there was a massive real-estate boom. Banks also made increasingly risky loans as they put surplus capital to work, creating an overheating economy and an asset-price bubble that just couldn’t last. Japan’s Nikkei share index hit an all-time high on December 29 1989, but that was as big as the bubble got. It didn’t exactly burst, but deflated rapidly through 1990 and into 1991. The stock market dropped to half its peak level by August 1990 and continued to fall until hitting rock bottom in 2003. Land and property prices started a similar downward journey in 1991. The long-term effect of the deflating Nikkei bubble on the Japanese economy was disastrous. Capital was redirected abroad. Manufacturers lost their competitive edge. Thrifty consumers further depressed the ailing economy as exports declined. An overhead indicator shows and – despite the fact that interest rates were reduced to zero – 160.03 yen at the Tokyo Stock there was a vicious deflationary spiral. Economic stagnation and Exchange on April 18 1990. Recession followed, unemployment rose and those valued ‘jobs for life’ inevitably started disappearing as the government ran enormous budget deficits. 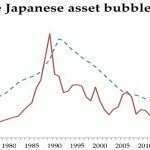 What was the Nikkei Bubble toll: With the puncturing of the Nikkei bubble, the Japanese economic miracle came to an abrupt end. You should know: Despite a brief recovery after 2003, the Nikkei share index reached a 26-year low of 6,994 points during the global financial crisis of 2008. Way back in December 1989, at the height of the Nikkei bubble, it stood at a heady 38,915 points. ‘When America sneezes, the rest of the world catches a cold’ so it’s not really surprising that when America got the collywobbles at the beginning of the 1970s, the result was pneumonia on the London Stock Exchange – more than 70 per cent was wiped off share values in the worst bear market (market downturn) of the 20th century. By the end of the 1960s, after a decade of consistent growth on both sides of the Atlantic, America’s economic advisers reckoned they had solved the problem of ‘boom and bust’. They congratulated themselves on having successfully applied the theories of ‘the new economics’, boasting that the idea of a business cycle was old hat and that consumer capitalist economies could enjoy continuous uninterrupted growth. In the context of President Nixon’s politically troubled world of the Vietnam War, the Watergate scandal and a partisan involvement in the Arab-Israeli Yom Kippur War that was to lead to the Arab nations imposing an oil embargo, it was inevitable that the good times would come to an end. The experts hadn’t realized that the prosperity of the 1960s was nothing to do with their clever theories but had simply been caused by a long-lasting economic bubble. The crash precipitated a lengthy period of ‘stagflation’ – an economic Catch-22 that was particularly keenly felt in the UK. 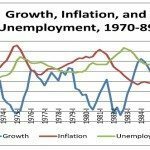 The economy was trapped in a wage-price spiral: when the government took measures to stimulate growth, inflation rocketed; but attempts to control inflation made the economy shrink. Fuel shortages caused by the oil crisis and the government’s battle with the National Union of Mineworkers resulted in the misery of the ‘three-day week’. Not surprisingly, at the general election in February 1974 the Conservatives lost their overall majority and Britain limped on with a hung parliament. Where: USA and UK. It also affected the whole of Europe. Toll: Recovery was extraordinarily slow. The UK stock market did not return to its pre-crash real level until 1987. You should know: The economic boom of the 1960s was brought to a sudden end by Richard Nixon’s decision to remove the dollar from the gold standard. The international money market was thrown into turmoil and the loss of confidence spread to the stock market, sending the whole house of cards tumbling down. 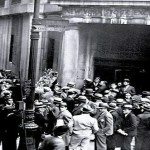 The high life of the Roaring Twenties came to a juddering halt on Black Tuesday October 29 1929 with the Wall Street Crash. Politicians who had welcomed in the ‘New Era’ of a continually rising stock market in an ever-expanding economy were shown up for the frauds they were. The New Era turned out to have been a con trick – a bubble fuelled by speculators and easy credit – and the boom years of the 1920s had enriched only a privileged few on the backs of the many. Banks had over extended themselves, lending funds that they didn’t have, and panic-stricken depositors caused a bank run that resulted in more than 1,500 finance companies going to the wall. Whether the Wall Street Crash was merely a symptom or the main cause of the Great Depression, it was certainly the single largest factor in triggering it. The catastrophic effects of the crash rippled across America: thousands of small-time investors suddenly found themselves bankrupt, more than 100,000 businesses collapsed, and unemployment soared to more than 12 million. By the winter of 1932, America was in the ferocious grip of the worst depression in its history. Poverty became the norm and thousands of people were forced to take to the road in search of work. Industrial output and international trade dropped by half and a deflationary cycle set in for the rest of the decade, spreading from America across the globe. The US economy didn’t fully recover until America entered World War II in 1941. The suffering of the Great Depression years is deeply etched into the American consciousness and has found lasting romantic expression through the arts: John Steinbeck’s prize-winning novel The Grapes of Wrath, the hobo folk songs of Woody Guthrie, and Dorothea Lange’s iconic documentary photographs of the dispossessed. What was the Wall Street Crash and the Great Depression death toll: At least 110 people died directly of starvation and countless more died from secondary illnesses caused by malnutrition. The suicide rate rose by more than 20 per cent. You should know: The Great Depression was exacerbated by severe drought and dust storms in the Mid West, which forced thousands of rural families to abandon their land and travel westwards in search of food and work. 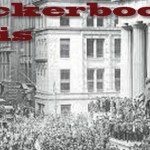 The bank panic of 1907 demonstrates that crises in the banking system are nothing new. Once confidence is lost, panic spreads like a contagious disease. The Knickerbocker Trust Company was the third largest of the New York trust companies. The failure of such a prestigious financial institution inevitably caused the jitters to spread throughout the banking system. It started with an attempt by shady copper magnate Augustus Heinze and his equally dishonest brother Otto to comer the copper market – dodgy dealing to gain control of enough shares to manipulate the price. Their cornering bid failed dismally. Instead of getting control of their target – the United Copper Company – their shenanigans caused the sudden collapse of its share price. There were whispers that the Knickerbocker Trust Company’s President, Charles Barney, was one the Heinze brothers’ cronies. Depositors panicked and on October 22, a week after the United Copper Company collapse, they started a run on the Knickerbocker Trust. In under three hours $8 million was withdrawn, completely wiping out the company’s funds. Barney begged financier J P Morgan for help but Morgan refused; Barney had no choice but to order the company to cease trading. By Thursday October 24 banks and trust companies across the USA were affected. At the same time the stock market was collapsing. J P Morgan realized that if the Stock Exchange were forced to dose, the entire US financial system would crash. He persuaded New York’s most influential financiers, John Rockefeller (the wealthiest man in America) amongst them, to contribute enough funds to temporarily restore liquidity. On Friday he made a press announcement outlining a financial rescue package and instructed the clergy to calm their congregations during that Sunday’s sermon. The weekend break calmed nerves and on Monday the Stock Exchange opened for business as usual. Complete meltdown had been prevented … for the moment. Toll: Charles Barney, President of the Knickerbocker trust company shot himself. The New York stock Exchange lost 50 per cent of its value and many ordinary small-time investors lost their savings. You should know: The 1907 New York bank panic led to the creation of a central banking system – the Federal Reserve.